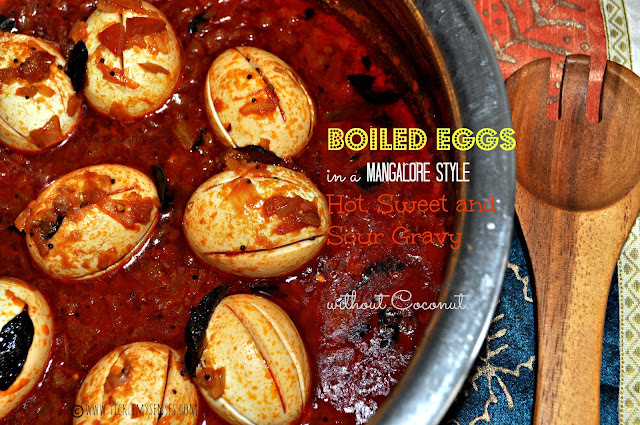 Tickle My Senses: Boiled Eggs in a Mangalore Style Hot, Sweet and Sour Gravy without Coconut. Boiled Eggs in a Mangalore Style Hot, Sweet and Sour Gravy without Coconut. 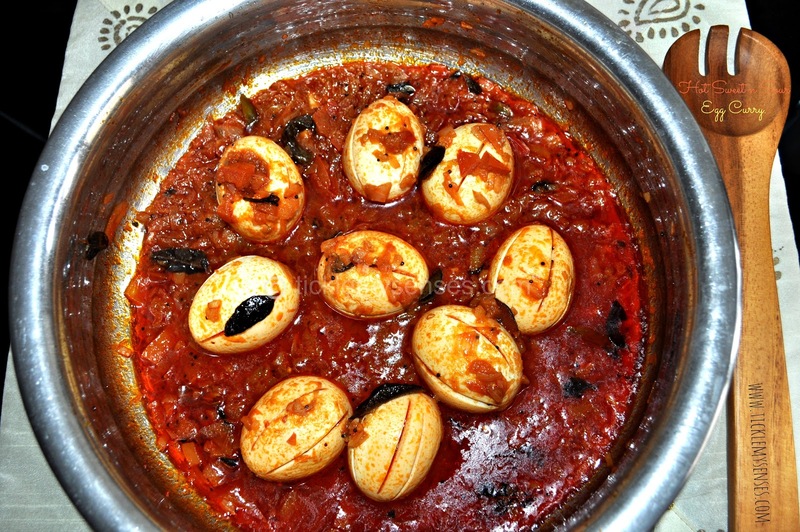 This Egg preparation is really delicious, it is well rounded with the right balance of heat, spice, sweet and sourness. 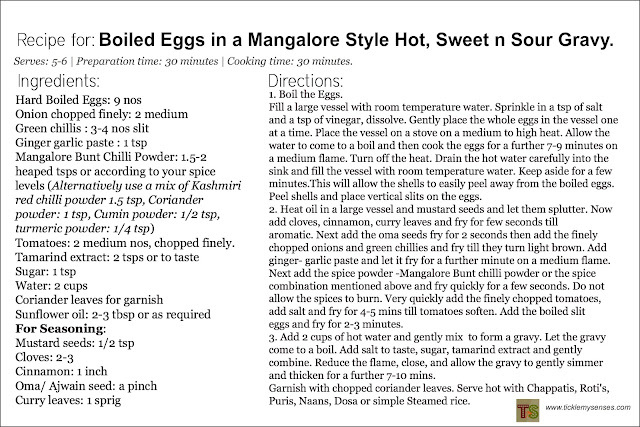 I know of many people who do not like anything sweet in savoury dishes, including hubby, but this one he thoroughly enjoyed. 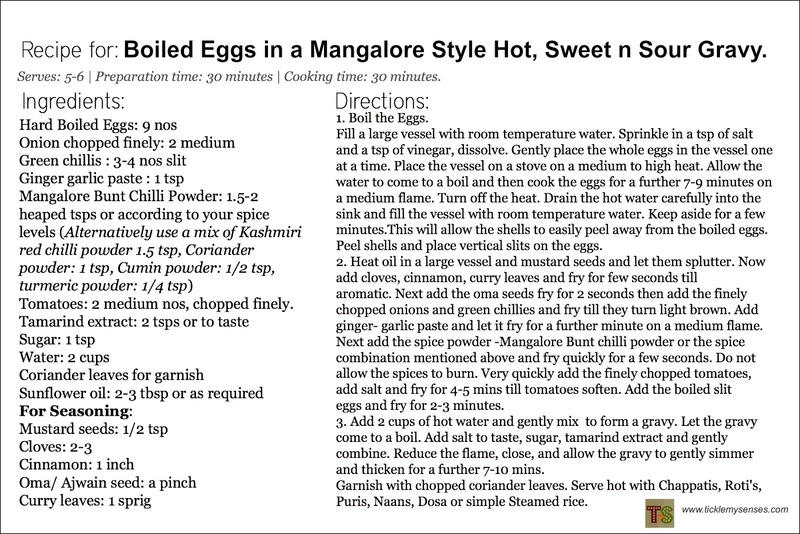 I tend to make this preparation using the Mangalore Bunt chilli powder ( available in most Mangalore Stores or can be easily prepared at home), alternatively use the basic spice combination given in the recipe below, to give you an equally delicious curry. 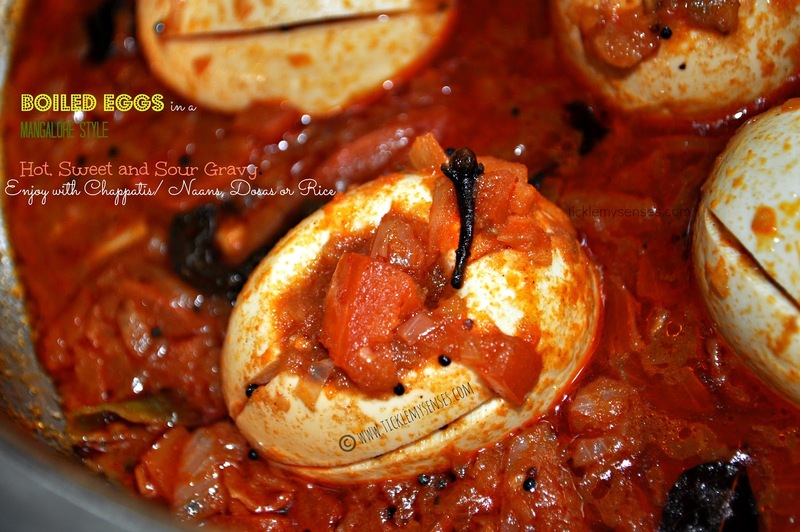 This gravy is semi thick in consistency and will make a lovely accompaniment to Chappatis, Parotas, Rotis, Naans, Puris, Dosas or even rice.